So once you have your render in the Cloud, what can you do with it. 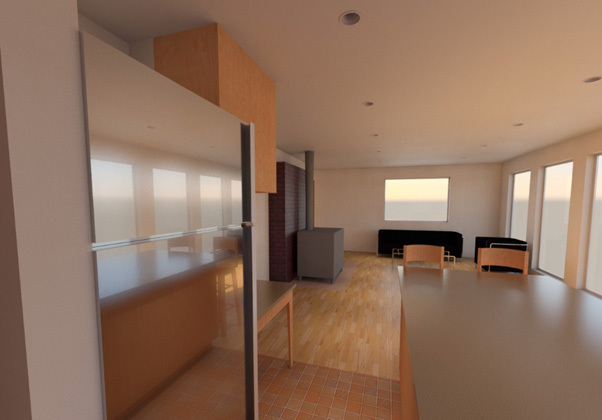 In your Autodesk 360 account you will have a list of all the renders that you have uploaded to your account. 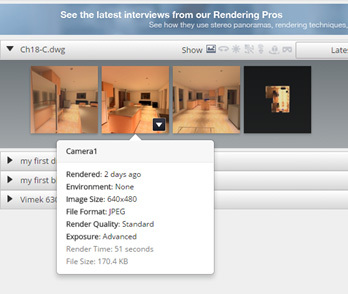 If you click on the name of the render that you uploaded the panel opens up and shows what views you have rendered. 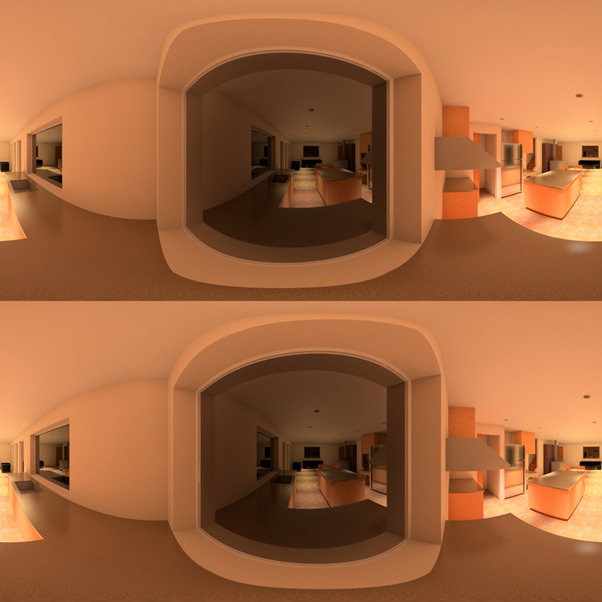 By hovering your mouse cursor over each view it gives you a preview of the render properties like image size, file format and time it took to render. If you click on the drop down arrow in the bottom right corner of the view it will give you more options. 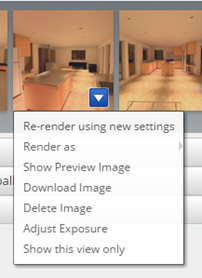 Re-render using new settings gives us the following setting options. At the bottom of the dialog box you will be able to see how many Cloud Credits are required to do the render with the settings you have inserted, how many you can use as a maximum and also how many you have available. 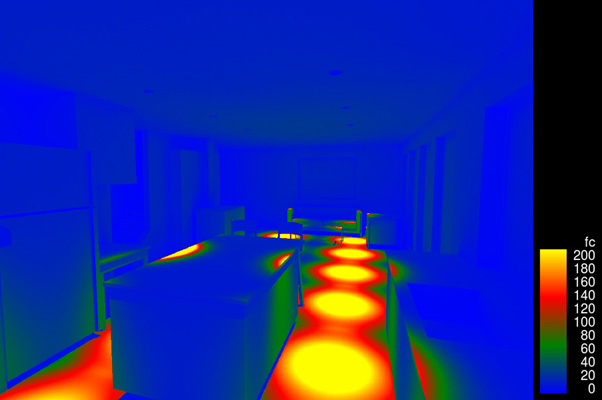 It will also show an estimation of how long it will take to render the scene. Lastly, there is an option for you to receive an email when your render is complete. 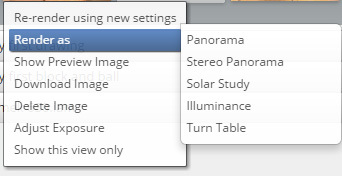 After you have completed your render you can adjust the exposure manually with the following settings. 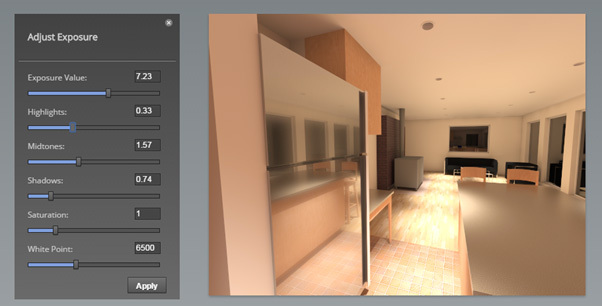 This is interactive with the preview (changes can be seen in realtime) and once you are satisfied with your adjustments you can click on apply and it will apply your new exposure settings to your render. The last setting we will look at is the different Render as options. Solar Study – This comes out as a video. I have taken a screenshot of what it looks like.